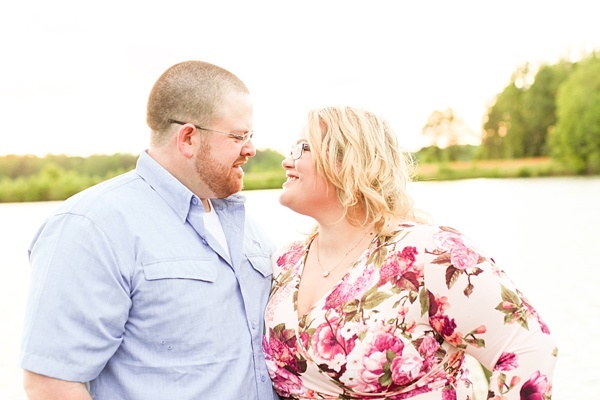 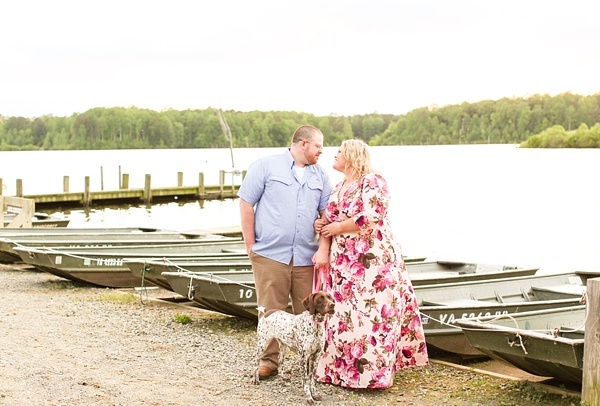 After a rain storm passed through the area, the sun came out and Laura and TJ's engagement session at Beaverdam Park in Gloucester began as planned with Marie Hamilton Photography. 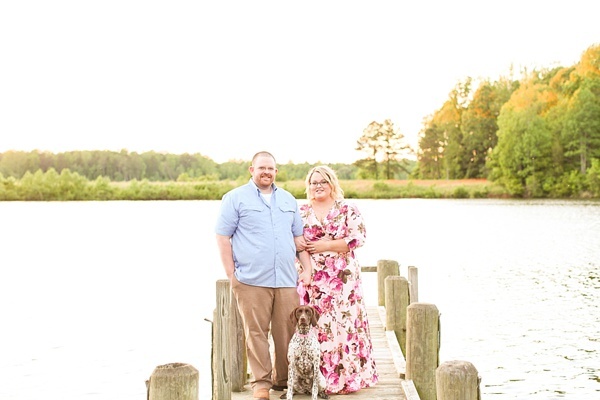 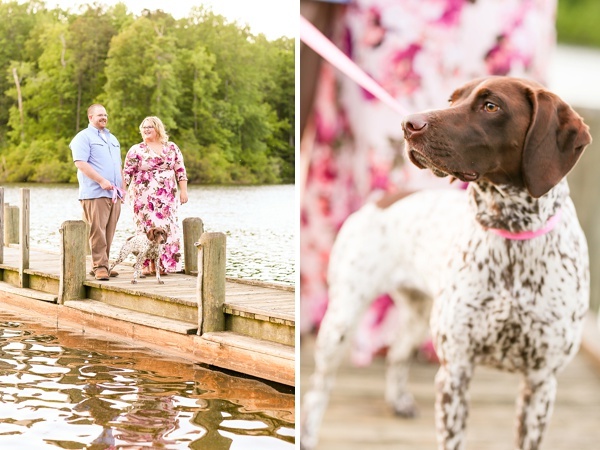 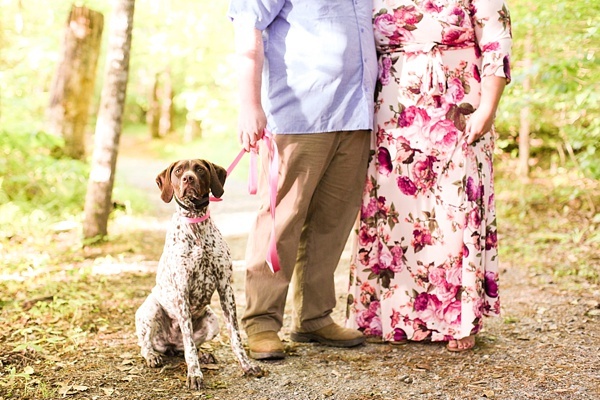 Donning a printed pink floral dress, light blue button-up shirt, and khakis, these two lovebirds perfectly complemented each other while enjoying the beauty of nature all around them... especially when their pup Kora also matched the occasion with her very own pretty bright pink collar! 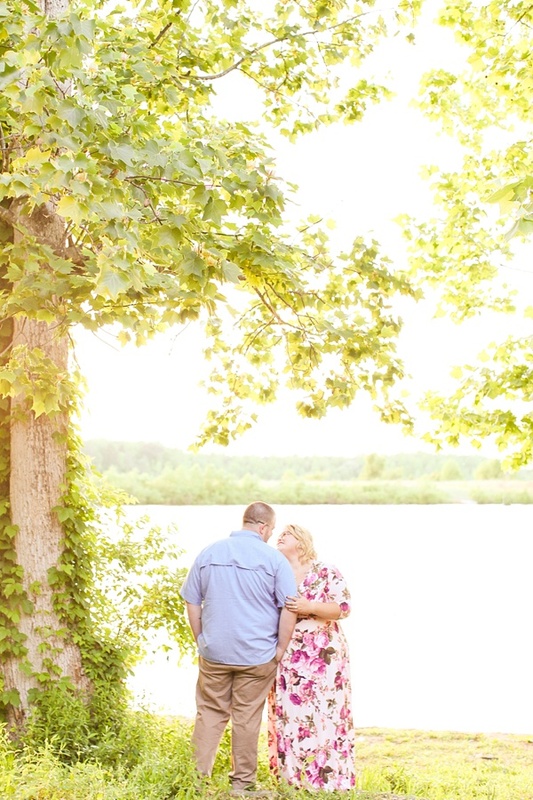 To celebrate their engagement, Laura and TJ were full of loving smiles, and as the perfect photography golden hour appeared, they shared a lovely slow dance against an idyllic waterside backdrop. 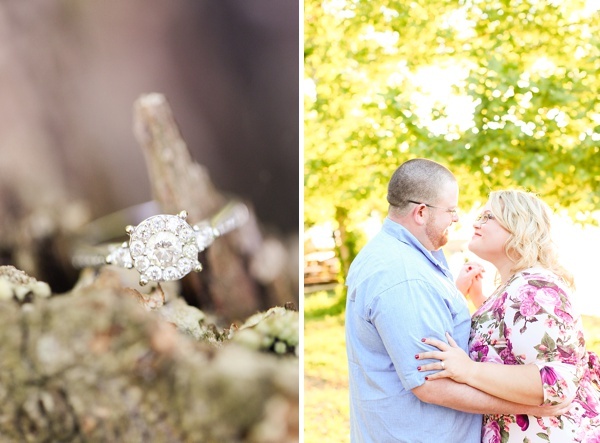 So many swoons and what we hope for any engaged couple getting their camera time before they say I Do!